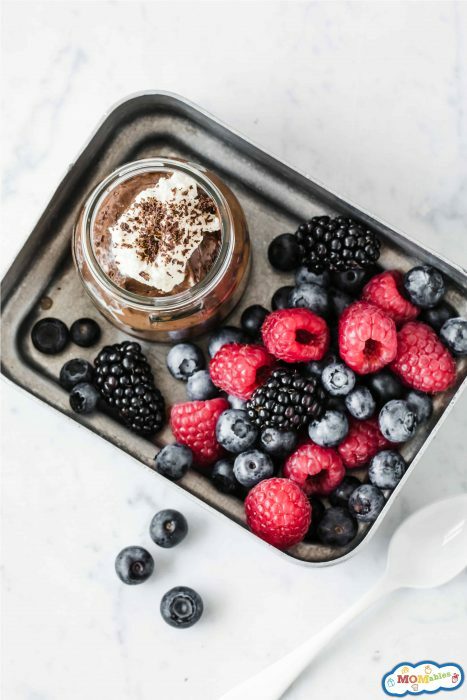 If you think chocolate avocado pudding tastes like chocolate + avocado… think again! It’s a deliciously creamy treat that is also good for you and is super easy to make. Watch the video to see how this yummy dessert is whipped up in less than 5 minutes. 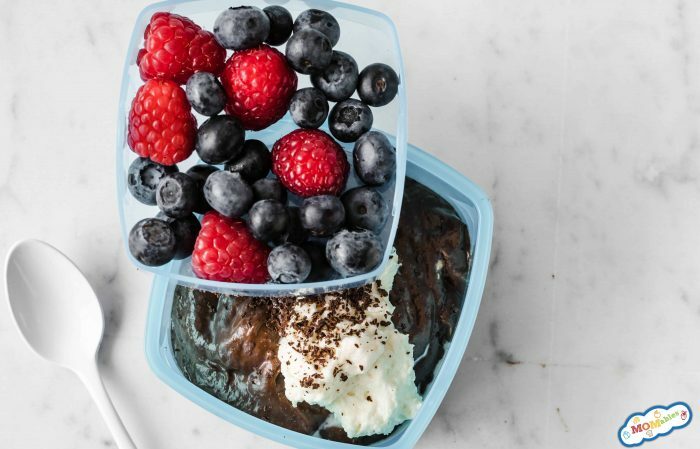 The secret to this chocolate pudding? Ripe avocados! If you think avocados don’t belong in dessert, I’m about to change your mind. 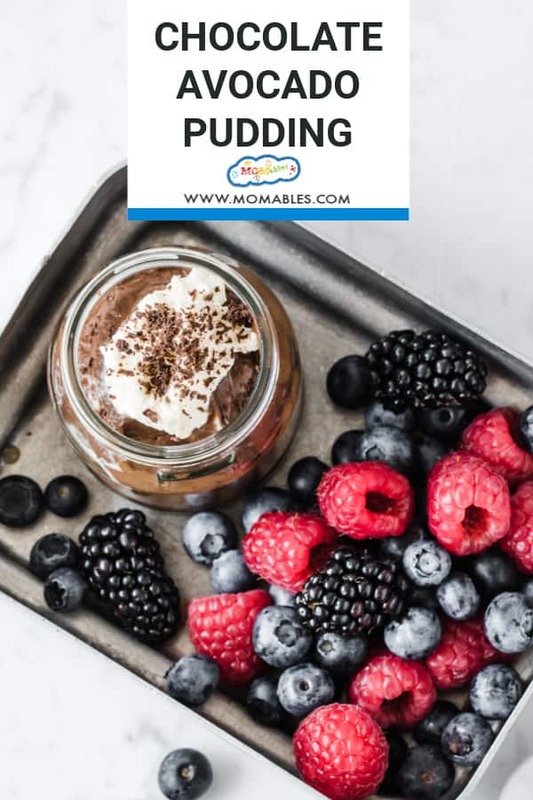 The avocado gives this healthy chocolate pudding a thick and creamy texture and it adds a lot of fiber, vitamins, minerals, and healthy fats. 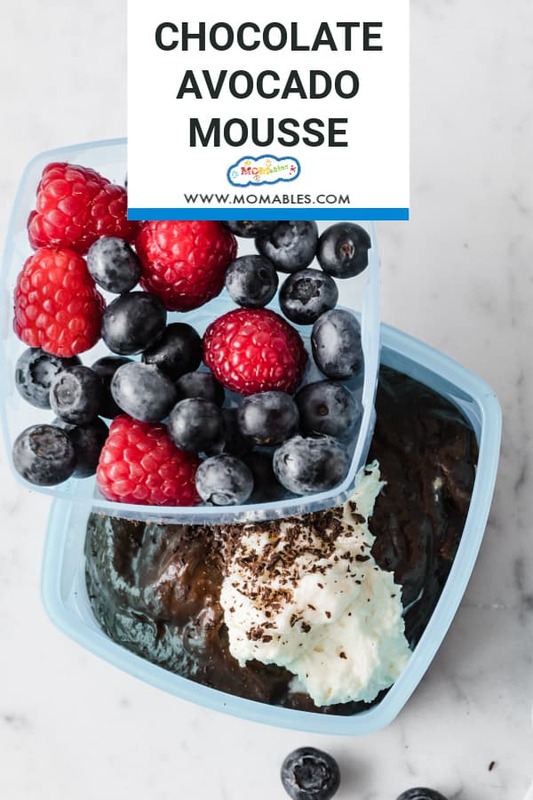 Don’t worry, this doesn’t taste like chocolate avocados, because of the cocoa powder, honey, and bananas give it a rich chocolatey taste! 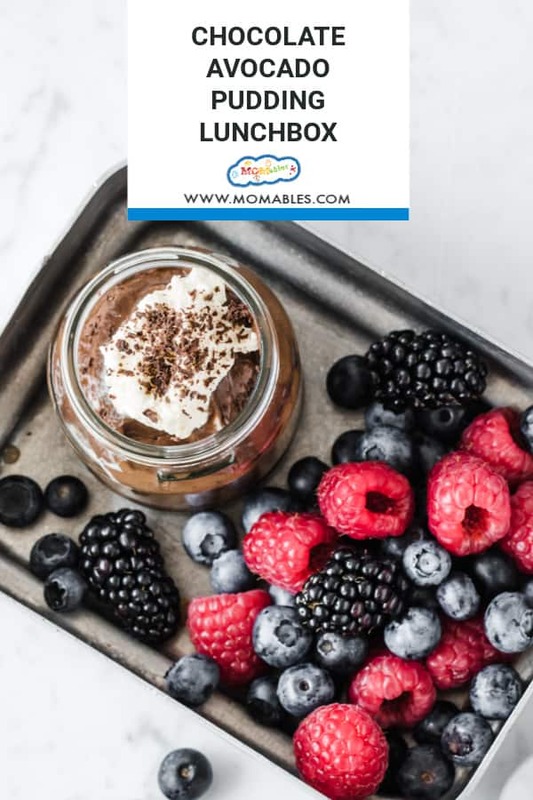 I like serving this recipe as a snack or healthy treat for my kids, they enjoy it because it tastes like chocolate pudding and I love it because it’s good for them. Avocados are a healthy source of fat, and unsweetened cocoa powder is full of antioxidants. This is one of those tasty recipes that helps my whole family eat clean together. Eating fresh, whole foods should not mean becoming a short order cook to keep your family happy at the dinner table. In fact, I created a complete program to help you and your family eat fresh, unprocessed food together for a whole month. Get a free sample of the tasty meals you can create for your family (including treats like this!) in my Family KickStart Program here. Helping parents make happier meal times and teach their picky eaters how to try new foods is exactly what we do in our P.E.A.S. Program. If you have picky eaters and want to learn how to establish healthy eating habits for life with your kids, check out how we can help. The riper the bananas, the less likely you’ll need to add honey since they’ll naturally sweeten the pudding. This healthy dessert is best when chilled. 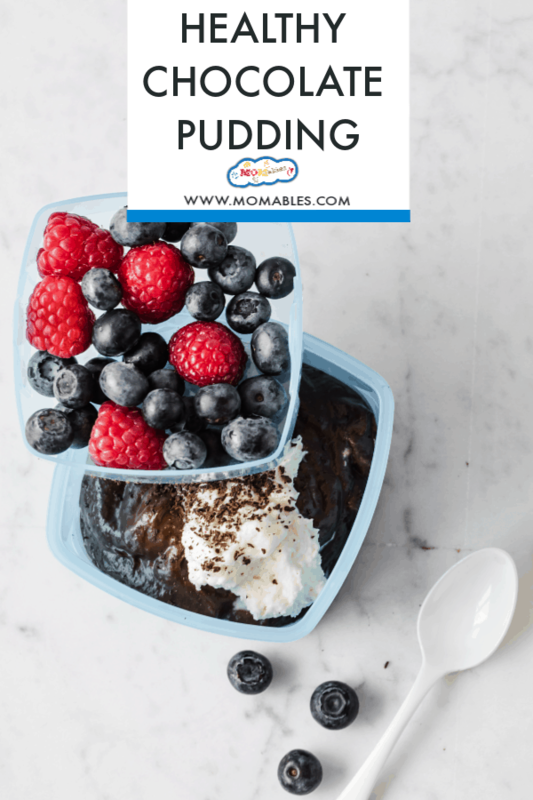 I recommend making the pudding and allowing it to chill for at least 2 hours before serving. If leftovers are even a thing (not in my house), you can refrigerate and enjoy within one day. Place the bananas, avocados, cocoa powder, honey, and vanilla into a food processor or blender, blend until smooth. Chocolate hazelnut spread and bananas make an easy ice cream recipe! Is there anything that could be substituted or added in to make it last more than a day or two in the fridge? Here is how I keep guacamole from browning. I’ve never tried using natureseal on this pudding since I normally make it in the morning and then eat it shortly thereafter. 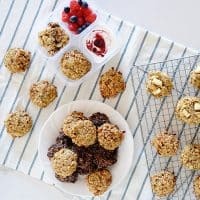 I’ve been looking for healthy dessert ideas for my children (8months and 2) that I can batch cook. Would I be able to make this up in single portions to freeze? Would it need to be defrosted before serving and how long would I be able to keep it in the freezer? Hi Fari, this freezes ok but it changes texture. I recommend making this and enjoying it fresh. mine was also bitter. my avocados and bananas are both perfectly ripe. i took the suggestion of a previous commenter to put some cinnamon in which helped considerably. i also added a little more vanilla and 1 TBSP of pure maple syrup. I think it is palatable now. The texture is great. I did not see milk in the recipe nor did I use it. Ah yes, mine was bitter and I added a ton of maple syrup (3 Tbsp) it made it all better! Thanks for the recipe! I just made this for the first time tonight for my (almost) 3 year old and 1 year old. It’s supposed to be 4 servings but my 3 year old ate half of it! And my 1 year old loved it too! I love finding ways to incorporate veggies into our favorites and having it gobbled up :) Believe me….it’s a struggle! the texture is amazing. the taste is kind of banana-y. it’s very sweet. next time, i might do 2 bananas and 2 avocados. Great recipe, overall. Thanks!! How many cups does this serve? You say 4 servings, but is that like 1 cup per serving? or 1/2 cup? How long will this store in the fridge? If I made a big enough batch to last for a week…..would it hold for that long??? I would say 1-2 days. The bananas are not cooked so they begin to ripen as well. blend in some dates (just a few) and coconut milk and dont forget to add cinamon. This came out extremely bitter for me, also. My avocados were actually a little over ripe so I know that’s not what happened:( I’m hoping my son loves it though! I just made this recipe and thought it tasted pretty bitter rather than sweet. Everything was ripe and portioned well, is there any tips on how to make it sweet? Or is it suppose to taste more on the bitter side? It looks and sounds amazing, but I don’t think my son would approve, unless there is a secret to make it taste more sweet. Suggestions? Love this site! The recipe is not bitter, as I’ve made it in as a pudding and similar recipe as a frozen popsicle. I’m guessing it might’ve been either the type or milk OR type of cocoa powder you used that would cause the bitterness. Thanks! Am I missing something? I don’t see milk as an ingredient and was wondering about that. this recipe does not contain dairy. Mine came out bitter, also. And I did follow the recipe, although it hasn’t chilled yet, so I will try after it’s been in the fridge. I threw a couple teaspoons of regular sugar in it and it helped a little bit. But, if you are completely anti sugar, I’m not sure what would change the taste except more banana. Tressa, if the avocados aren’t ripe yet, the “pudding” can come out a little bitter. Also, this works best with overly ripe bananas and eaten cold. Ok, my bananas were a little spotted, but not black like I use for banana bread. The avocado was quite ripe though. I didn’t have it cold, but I do have some in my fridge now, so I will try it later and get back to you on it. My one year old was thrilled with it, however, so I count that as a success, regardless of how I thought it tasted. What size avocado small or large? I’d say about a larger sized one. How about freezing into popsicle molds as a fudgesicle? Anyone tried this? Delicious! Yes, we have a similar post/recipe. Check it here. this recipe has got to be chilled! This tastes awesome! And it’s so easy and quick to make! I made it today. When I first tasted it, I thought, “Yay! 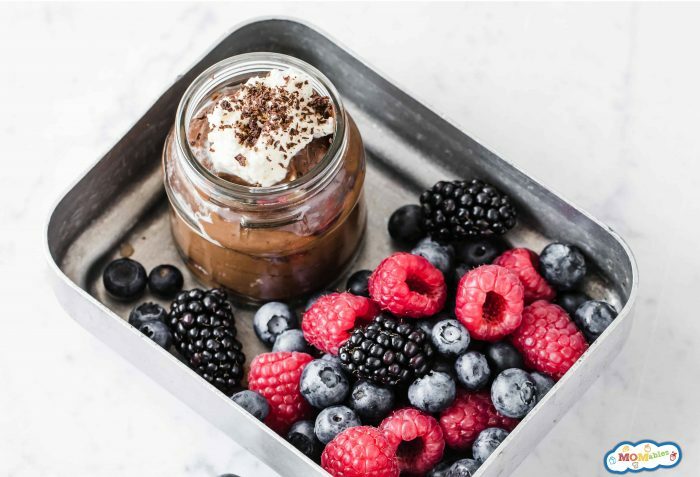 A healthy, creamy chocolate dessert to satisfy those times when I crave something creamy and chocolatey!” It’s going to be my personal go-to dessert! For my family, we are still working through reducing those sweet tooth taste buds. For them, I added about 1/4 cup of raw sage honey. How would you pack this for lunch? Inside a thermos, since this pudding is best served cold. Can u freeze this pudding? you can. I would suggest in single serve portions. Looks great! How long will this keep in the fridge? What a great idea! 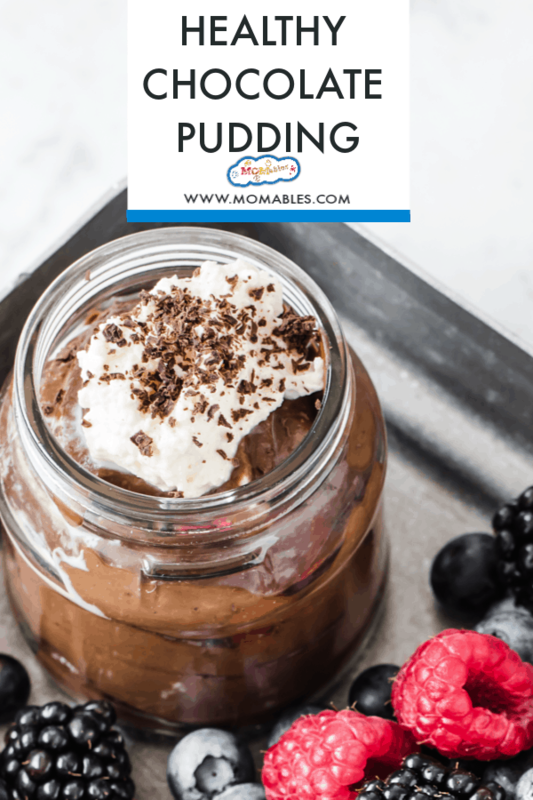 Pudding is one of our favorite desserts in our house and I love the idea of getting in the avocado! How long will this keep in the refrigerator? If I can ever get over my fear of avocados I think I could totally rock this recipe! That and I should really buy a blender.